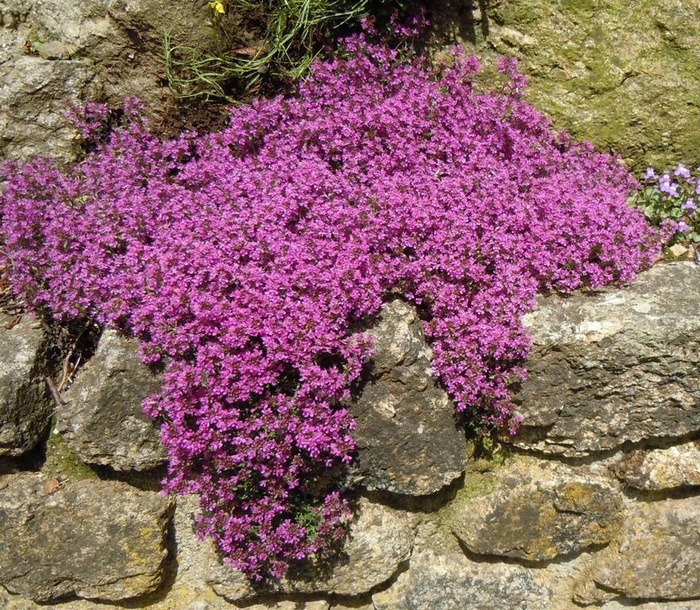 A distinctive form with deep purplish red flowers in late Spring which cover the mats of dark evergreen leaves, ht 5cm. Plant in a sunny, well-drained site at the front of the border, in rockeries or pots and containers. 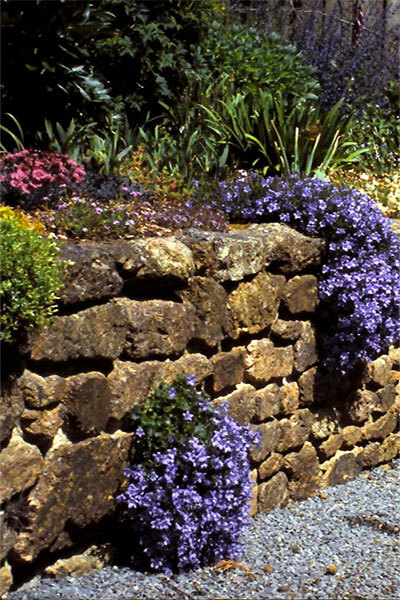 Grows well between paving stones and as an edging plant. Loved by butterflies and bees.